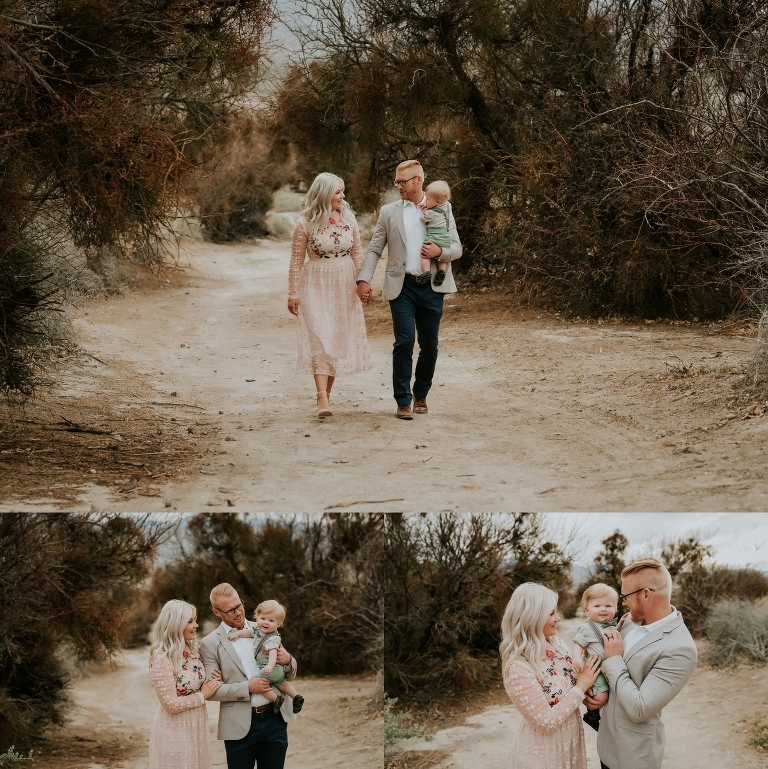 Even though we live in the middle of a gigantic desert, there really are some beautiful unseen places that make the perfect setting for a Family Portrait Session. The Desert National Wildlife Refuge is one of my favorite places to shoot. This quiet little oasis yields gorgeous little fields of green and amazing light. Pair that with this adorable new family of three, and we have the makings of a beautiful Family Portrait Session. 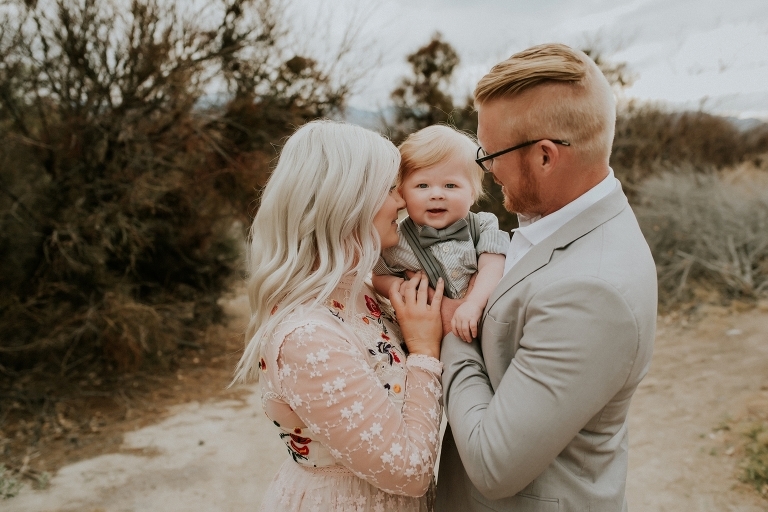 I absolutely just adore this family session. Their wardrobe style is perfection and their little man was an absolute show stopper. I always forget how easy new families are to photograph. 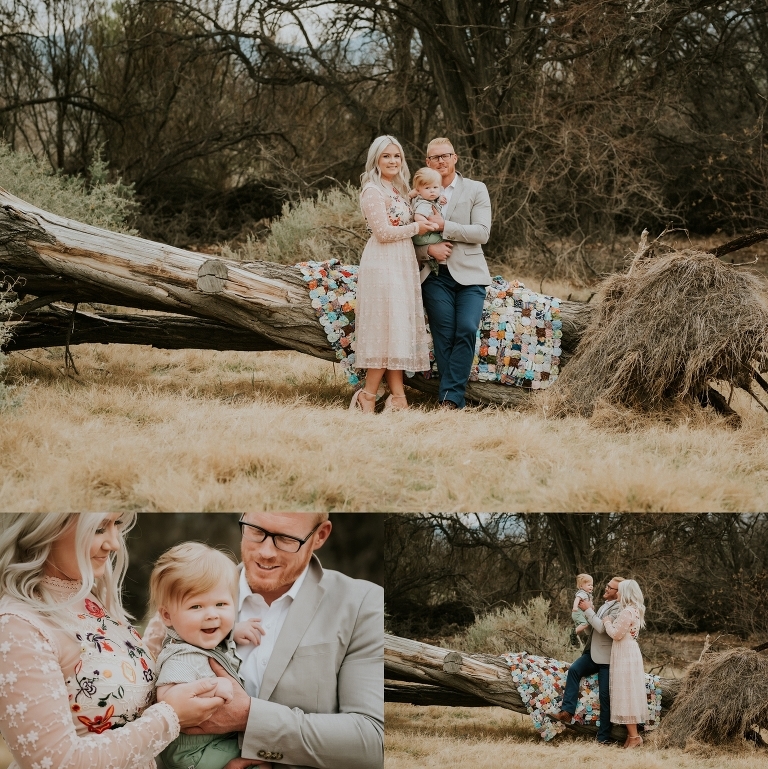 I am so use to photographing larger families a big majority of the time, so when I get a new family in front of my camera, its definitely a nice change of pace. The blooms are finally here and the weather has been warming up. Unfortunately, in Las Vegas, that also means the winds come. We did have to reschedule their session once due to bad weather and I was even a little worried the day of their new session date as the forecast called for a bit of wind again. Luckily we were able to shelter ourselves in between the trees and ended up having a gorgeous session filled with natural candid moments. I had so many favorites from their session, it was really hard to try and narrow it down to just a few to share. So here are a little more than a few for you. I hope you enjoy! Las Vegas Family Photographer specializing in natural, artistic and engaging Family & Child Portrait Photography. Serving Las Vegas, N. Las Vegas, Henderson and the surrounding area. © 2016 Jamie Rubeis Photography|ProPhoto6|Design by Northfolk & Co.